Hello again lovlies! 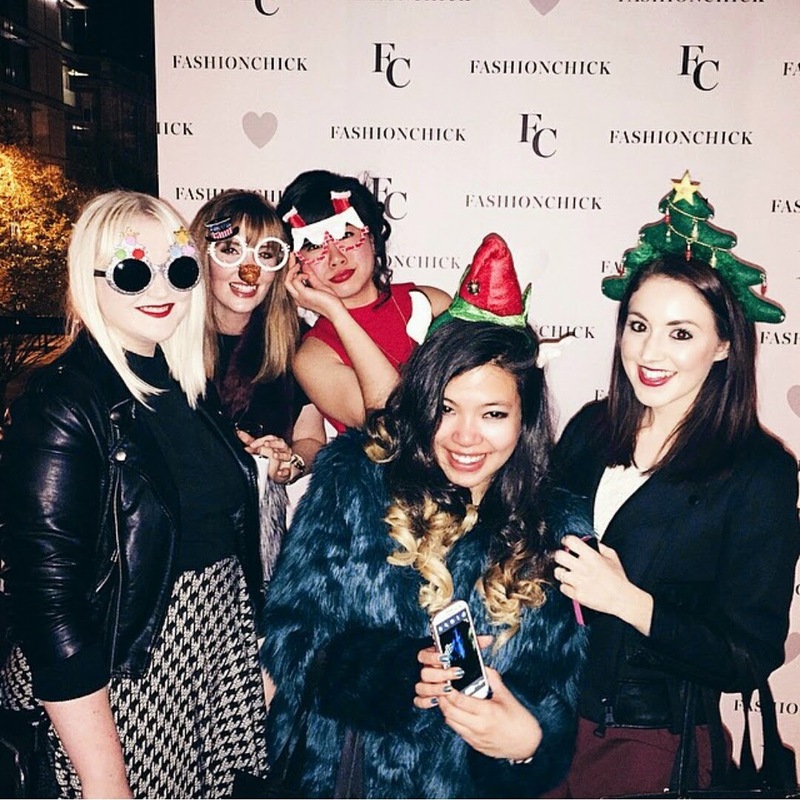 As I mentioned on my last blog post, a few weeks ago I was very lucky to be invited to the fashionchick Christmas party! 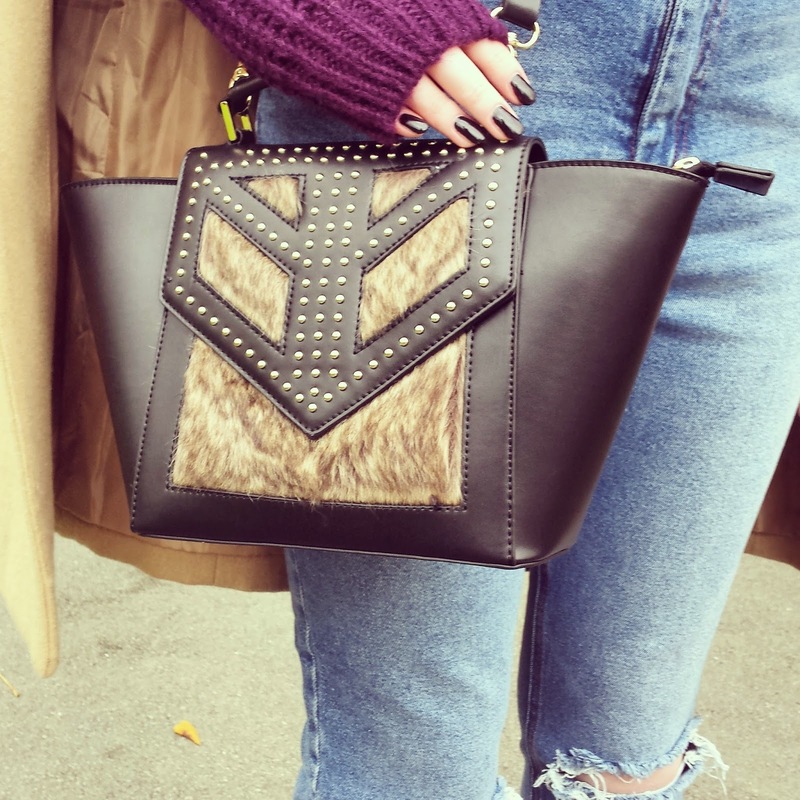 Fashionchick is a great website for you to check out and buy the latest styles and looks from some of the best brands out there. I use it a lot for inspiration, so when I was invited by a lovely member of their team, I couldn't believe it. It still shocks me that people see this and follow me, but to have a website I loved notice, was just an absolute dream! The party was also hosted by the fabulous boohoo.com and Dorothy Perkins (If you follow this blog you will know how much I love both brands). After a fantastic night at the party, we were all given a goodie bag. Yes, beautiful pieces as well as a great night = perfect! 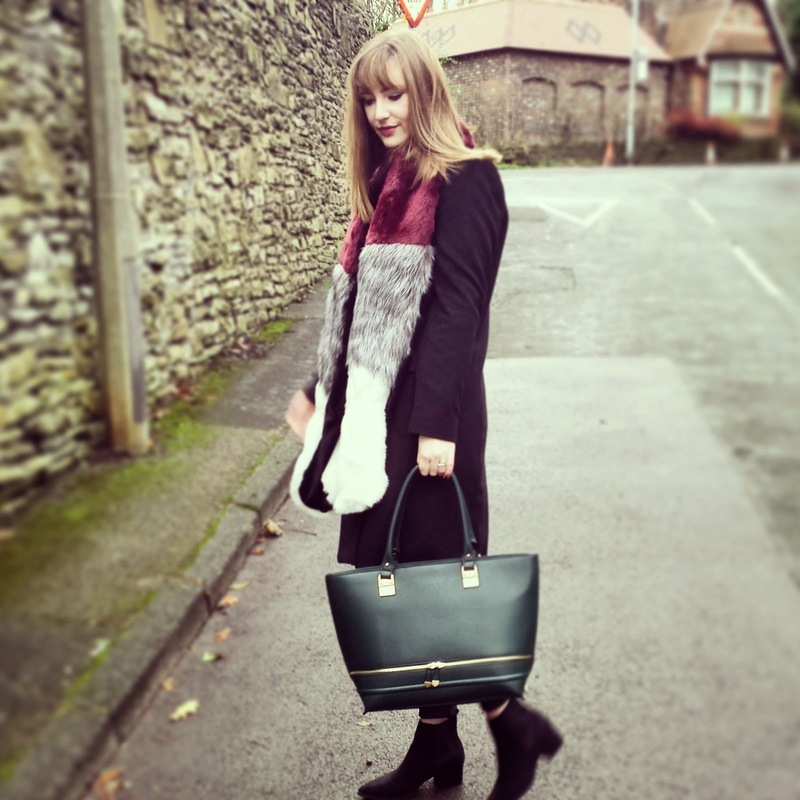 In this post I have styled looks with the items gifted to me in the bag. 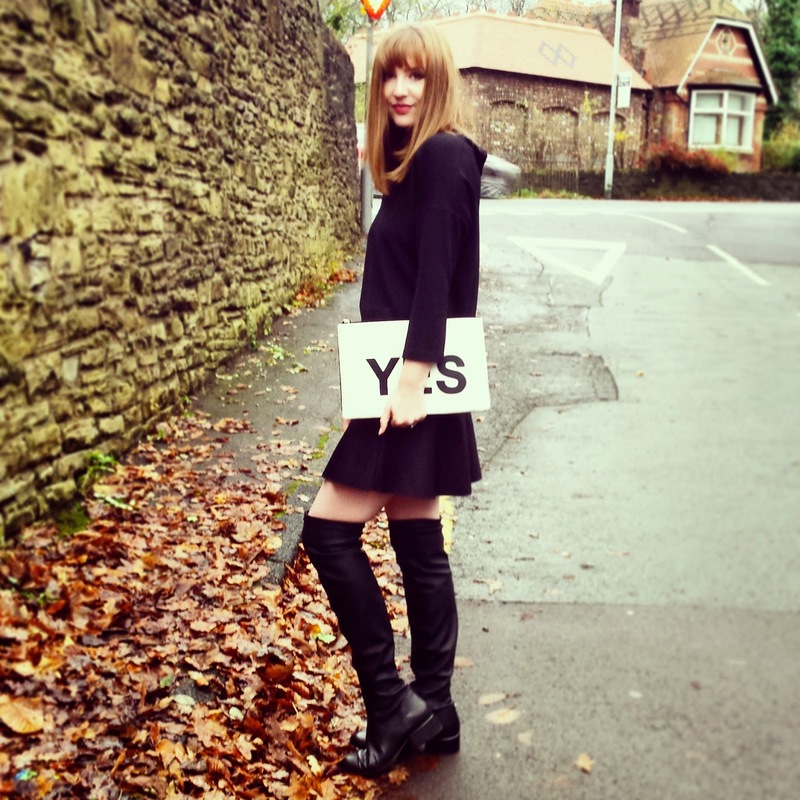 Firstly, the amazing "Yes/No" clutch from Dorothy Perkins. Ahh where do I start! I've wanted a slogan clutch for months, but never found one that suited my style and wasn't too expensive. So imagine my delight when I saw this baby! I've already used it twice on nights out, but thought I would dress it down for the look above. I just love it. 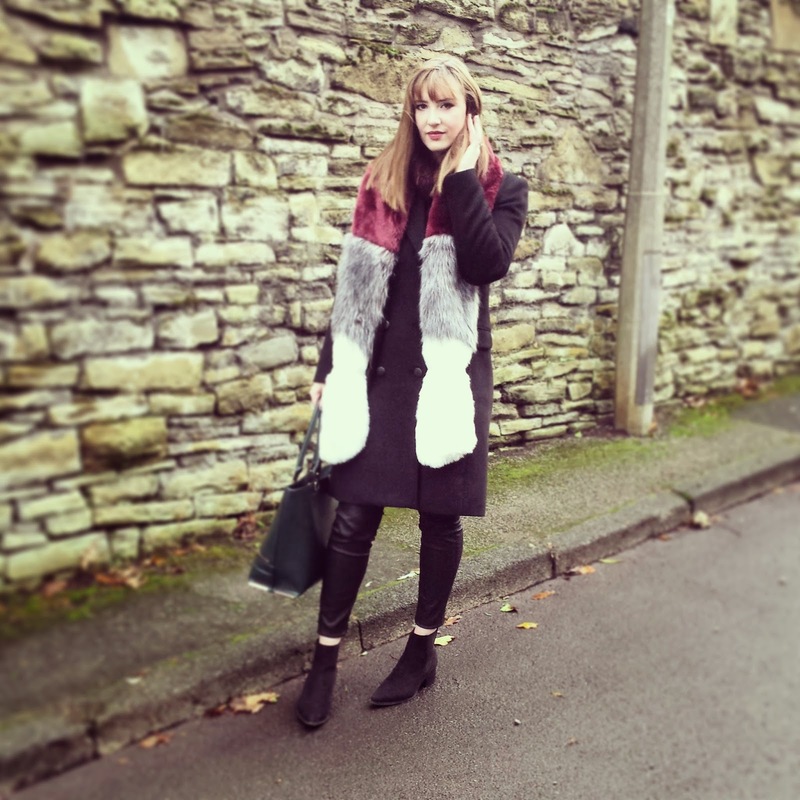 Monochrome is my fave, so to have such a functional fashion statement is right up my street! 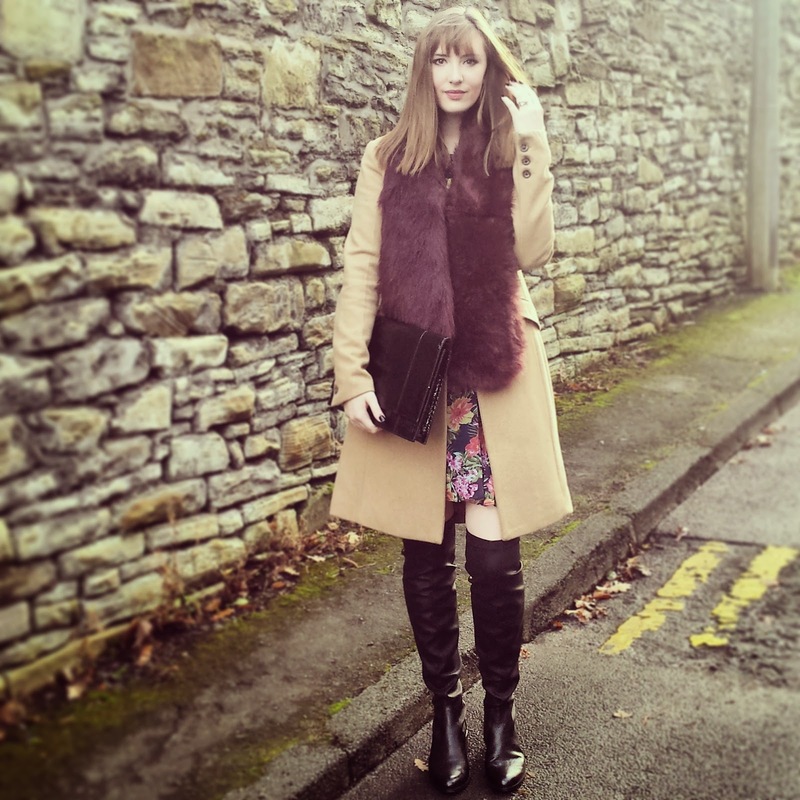 The knee high boots will feature heavily in my upcoming posts as they have CHANGED MY LIFE. Literally. 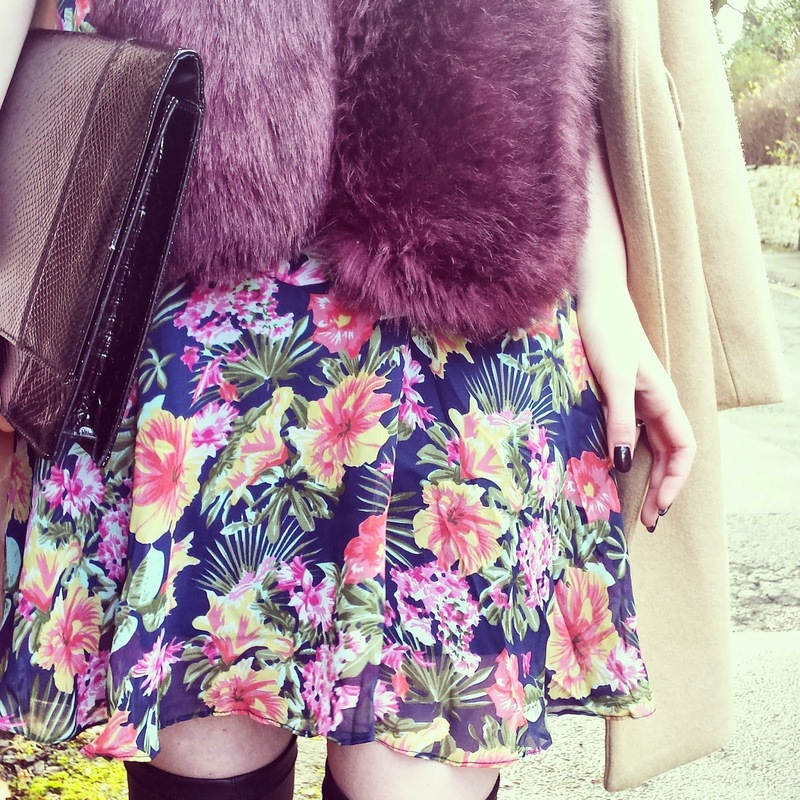 I can now wear bare legs without feeling self concious of my milk bottle skin! 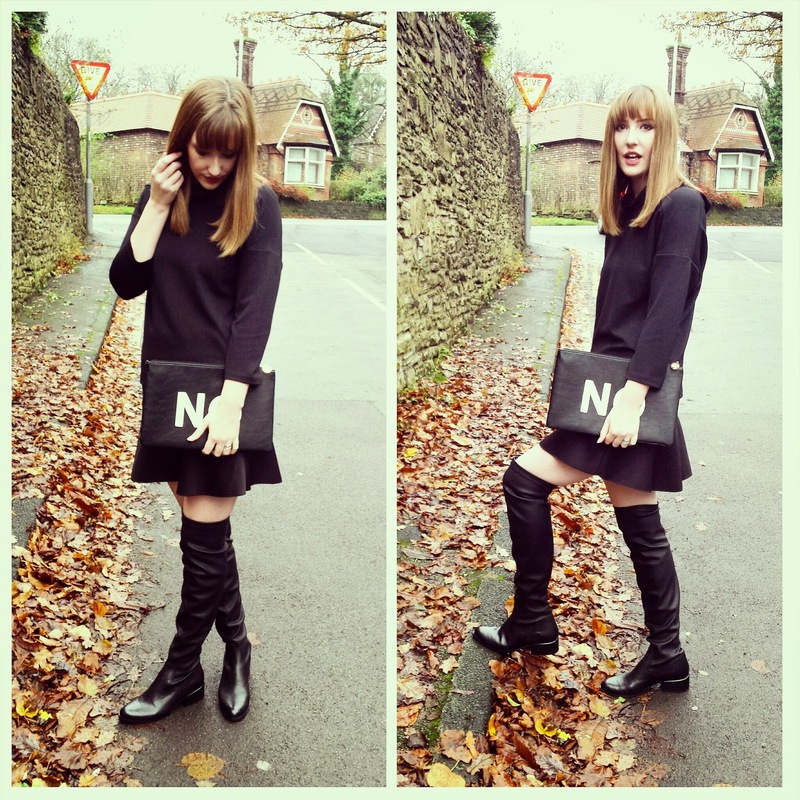 I've stayed monochrome with the rest of the look (head to toe in Next, can you tell I work there!? ), as the bag speaks for itself. True love. 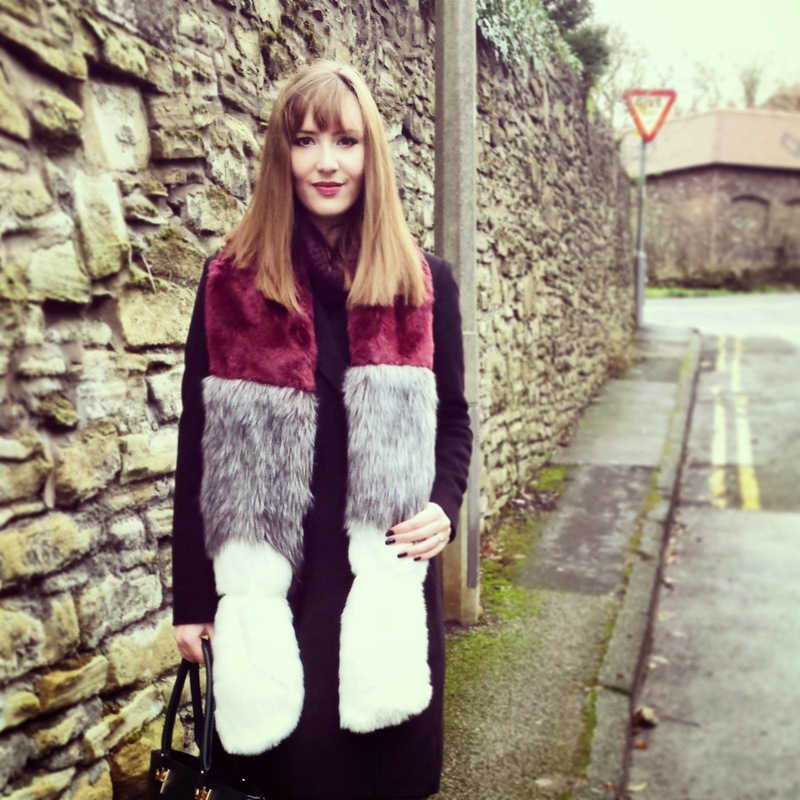 The next piece is this amazing faux fur scarf from Dorothy Perkins. Again, almost as if the knew, I had been looking for a faux fur scarf! This beautiful maroon one was one of my favourite pieces of the lot. I wore it home, the next day for a meal out over a t-shirt and then to the Manchester Christmas Markets in the look above. It is so versatile due to it's shape. It's not too bulky or heavy like some I have tried on, so it looks great on it's own over a jumper. It's bigger than a collar, so doesn't look out of place without a coat. It's also the most perfect hue of purple. 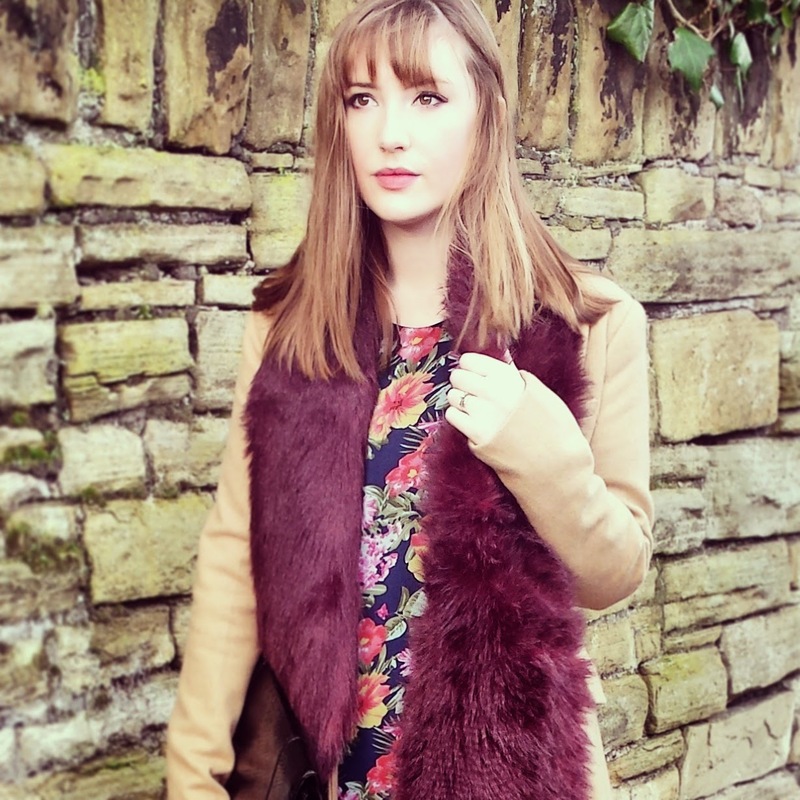 I have had so many compliments already, and I know many of my fellow bloggers have been wearing theirs out daily! A firm AW staple for me. I will be posting a more detailed look at the outfit above in an upcoming post (items are tagged on my instagram). 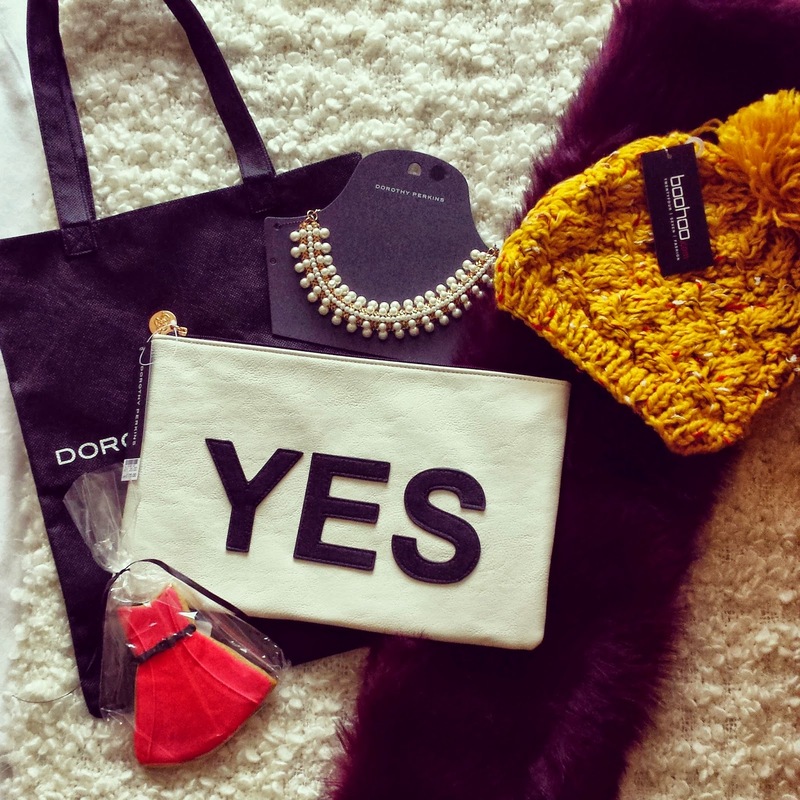 Finally my bobble hat from boohoo.com. If you don't already know, I am a massive hat fan. I would wear a hat every day if I could (generally) I do. 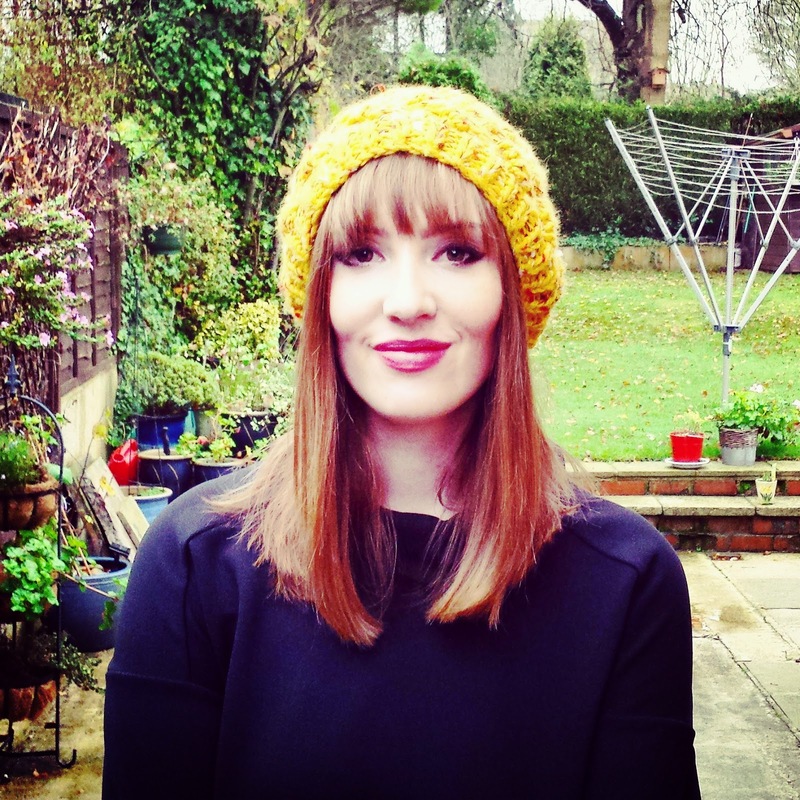 I would never have thought a mustard bobble hat would become my favourite so far...I love it! Who knew mustard was my colour! It's beyond warm and cosy, but also is such a lovely size, and is so flattering. I can't praise it enough. I've even ordered it in the burnt orange colour too! 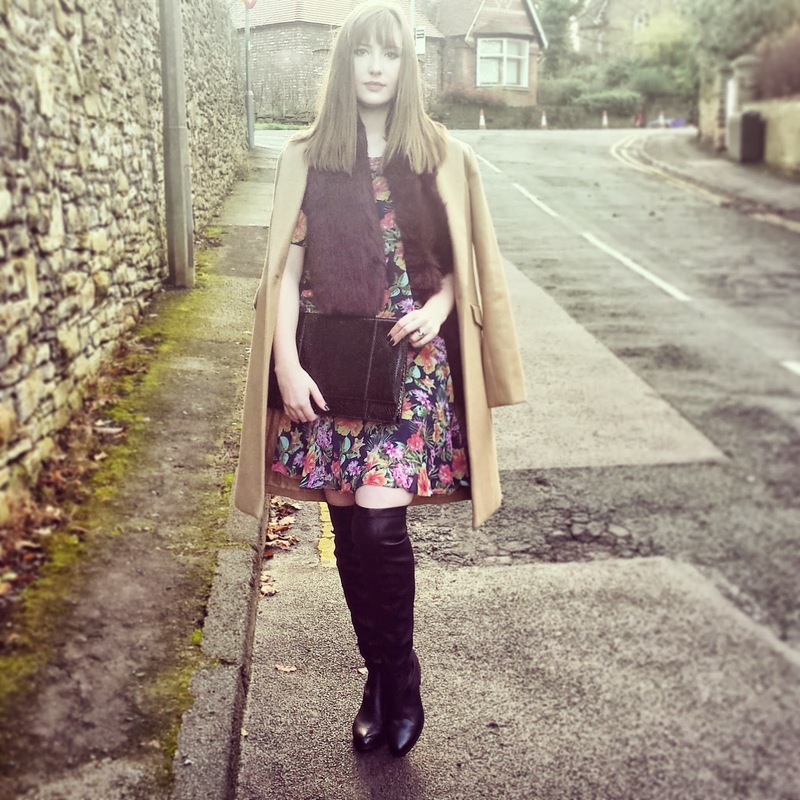 Once again, a massive thank you to fashionchick, boohoo and Dorothy Perkins. 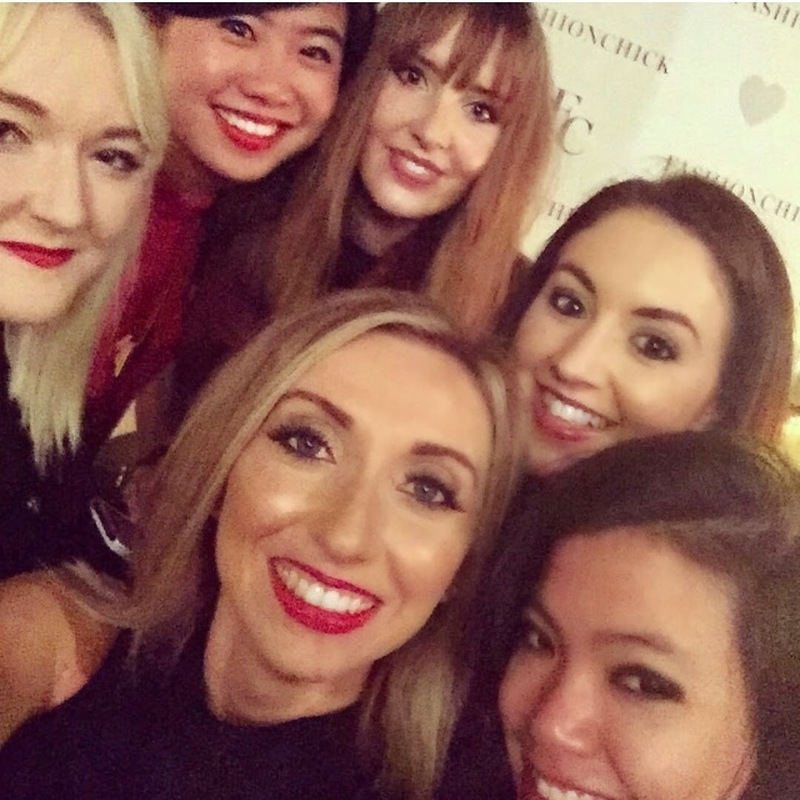 It was my first bloggers event, and hopefully it wont be the last! 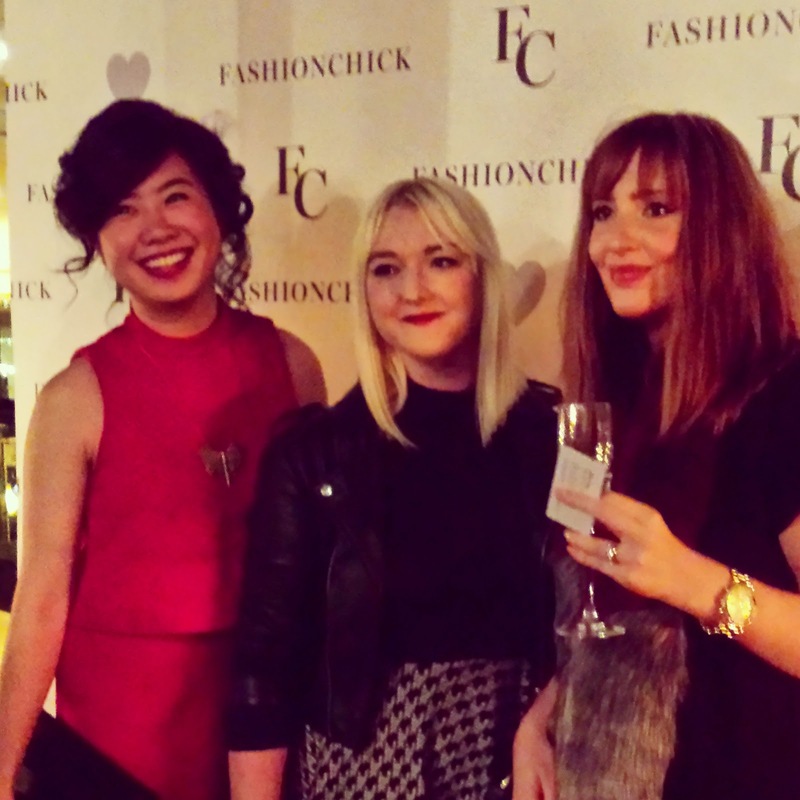 So last night I attended my FIRST EVER blogger's event! I couldn't believe it when I was emailed by the lovely girls at fashionchick.co.uk inviting me to their Blogger's Christmas Party, hosted by Boohoo.com and Dorothy Perkins! I honestly didn't think it was real! For those of you who follow my blog/IG account, you will know I have only dabbled in blogging for around 6 months, so to be invited was an absolute honour! It was held at the beautiful Epernay Champagne Bar in Manchester City Centre. I had never been, but I will definitely be going back! It is just off Spinningfileds and is in such a beautiful area of the City. I was incredibly nervous about attending a party on my own! It's just something I hadn't done before, but I was so excited to get inside, that the nerves soon dissapeared. We were greeted with a glass of champagne and nibbles, and then led through to the party where we could have our nails painted or hair styled at the hair bar. 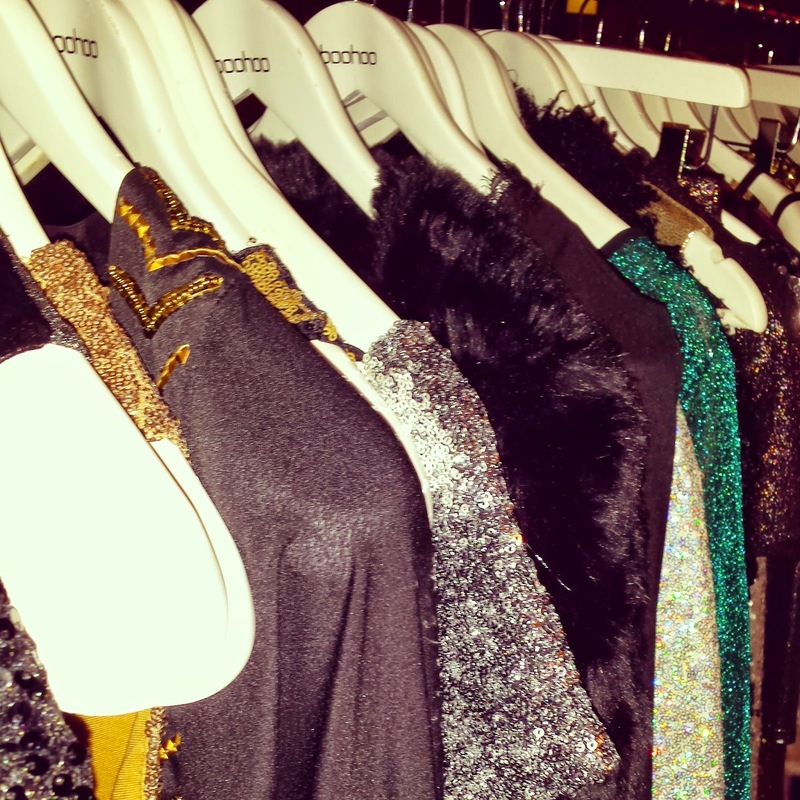 The room oozed fashion, with sequins galore and stunning bloggers huddled around the various clothes stalls. Luckily, I was not alone for long! I met two lovely girls from the Boohoo.com media team. 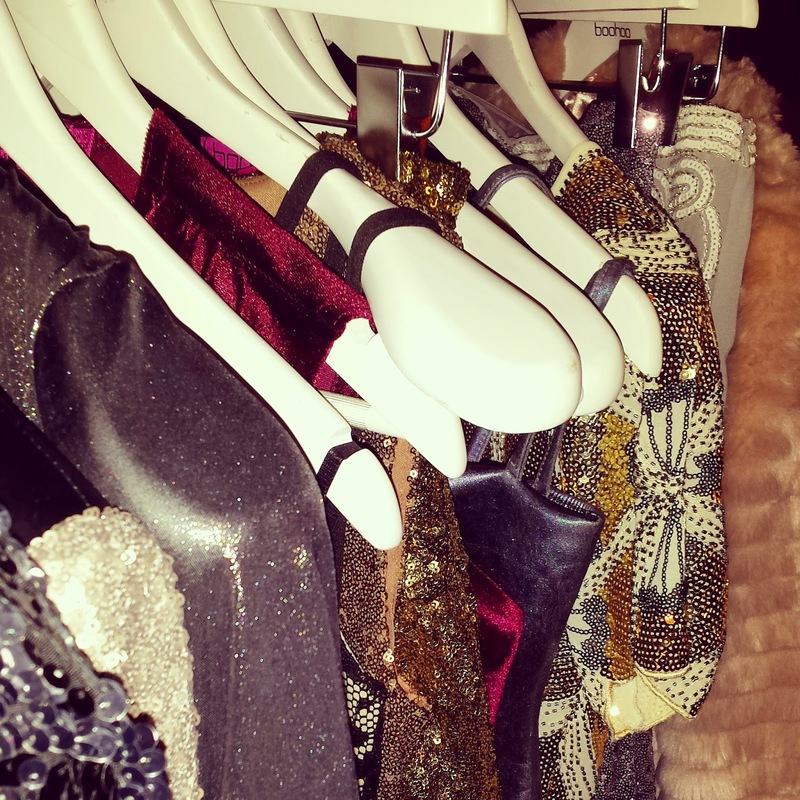 They introduced me to all of the beautiful AW14 pieces. I have added pictures, but trust me, they do not do them justice! I loved every single piece! The Dorothy Perkins stand was equally as beautiful. The lovely Jodie showed me the new pieces for AW. 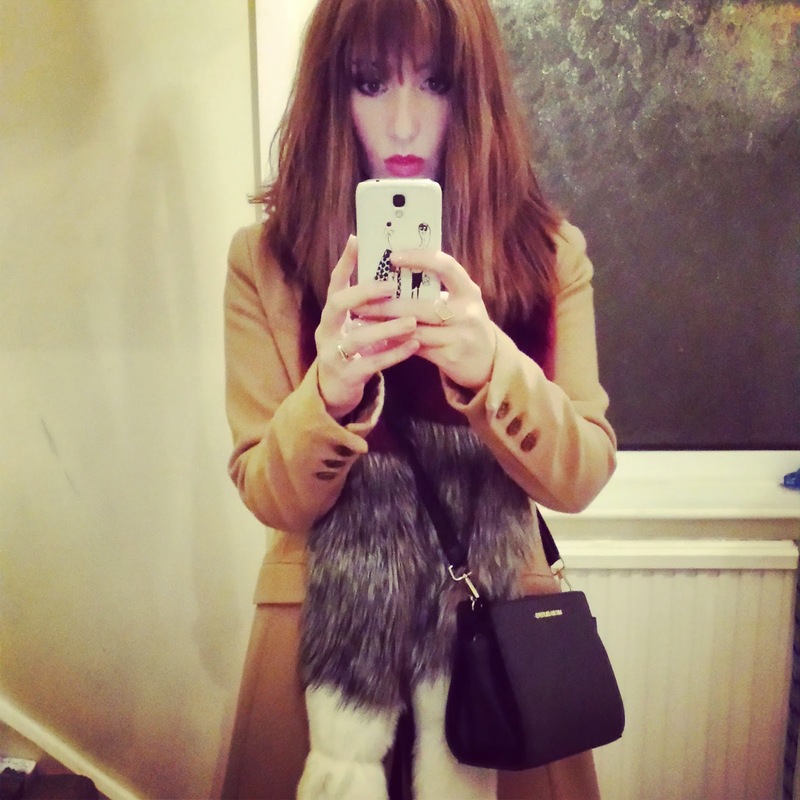 The silver coloured fur coat was an absolute favourite of mine! I then met the beautiful Holly from Rock On Ruby, who I follow on IG and the girls she was with. They were all lovely! 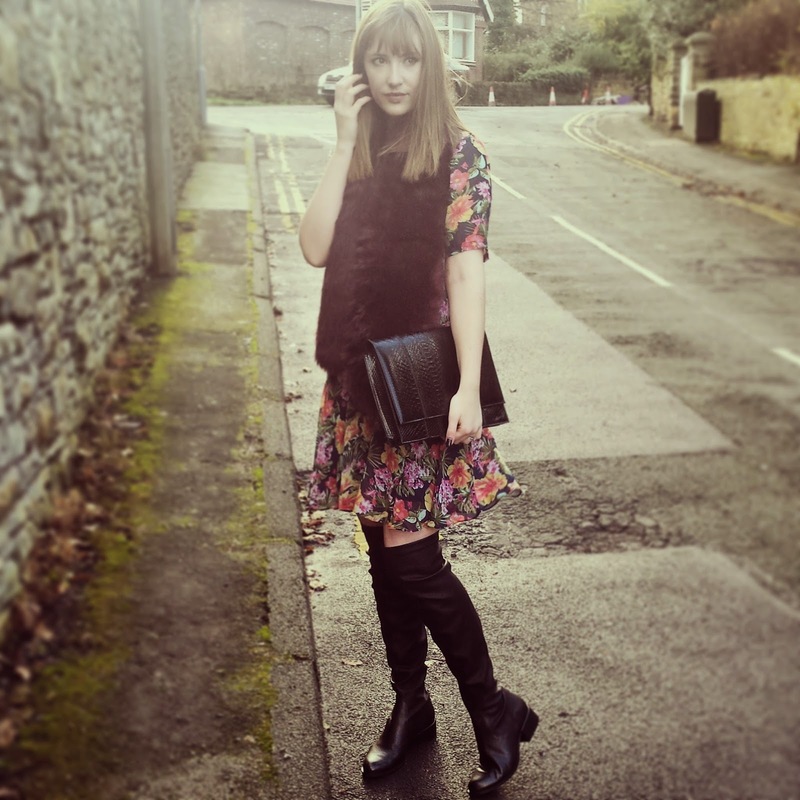 I felt instantly as ease, and we chatted about all things fashion and blogging. It's so nice to meet the bloggers you follow and admire, and also great to meet new people who have the same interests as you. I now must apologise for the lack/quality of my pictures! I was so overwhelmed, I honestly forgot to take some! Most of the images above are from the blogger's I met (links on IG). I know, the only time I really should take pictures and I forget! We had a ball with the Christmas props (I'm the one with the snowman glasses!) and the atmosphere was lovely all night. When I left, I was given an amazing goodie bag! 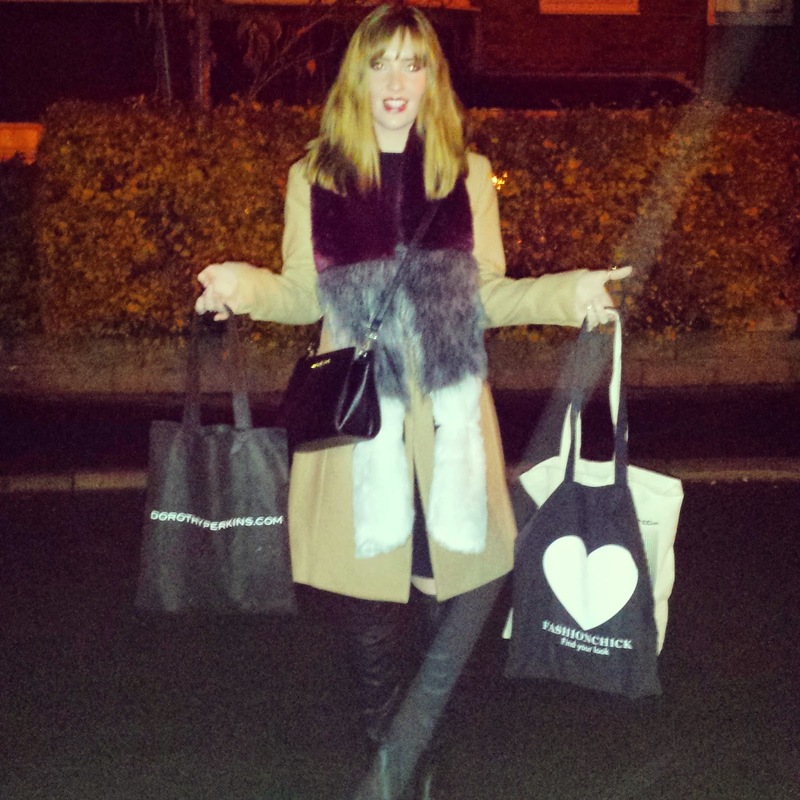 I still can't believe we were treated to wonderful food, drink, pampering, fashion AND we got a goodie bag! 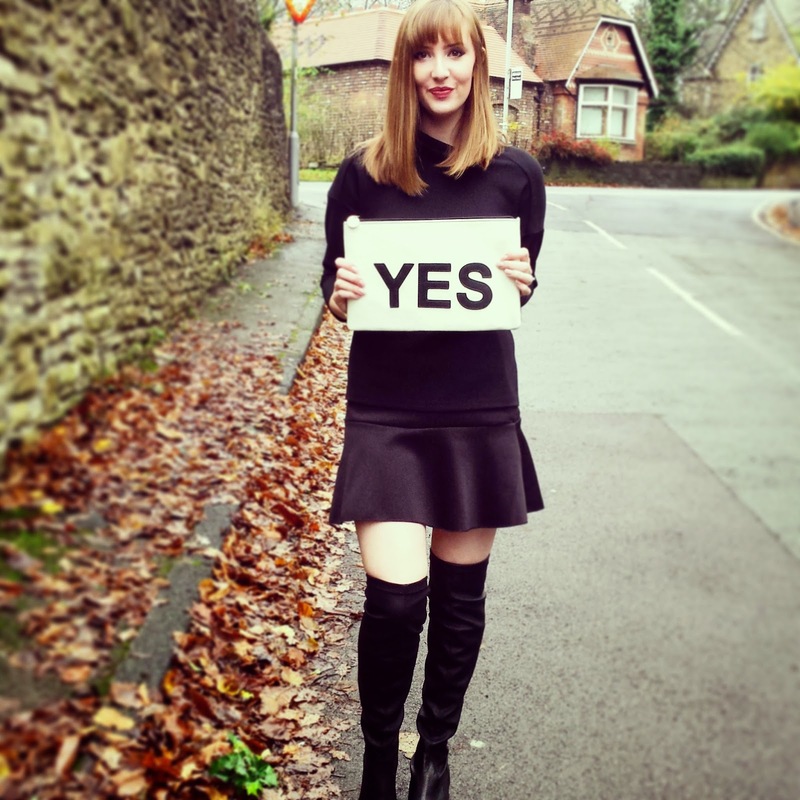 I was blown away by everyone's kindness and support for new blogger's. There was no elitism, or snobbery of how many followers you have, people just wanted to talk about fashion. It has definitely renewed my enthusiasm for blogging. I love every single follower, I still can't believe 300 people are interested in me! Hello lovlies! I hope you've all had a great start to November. 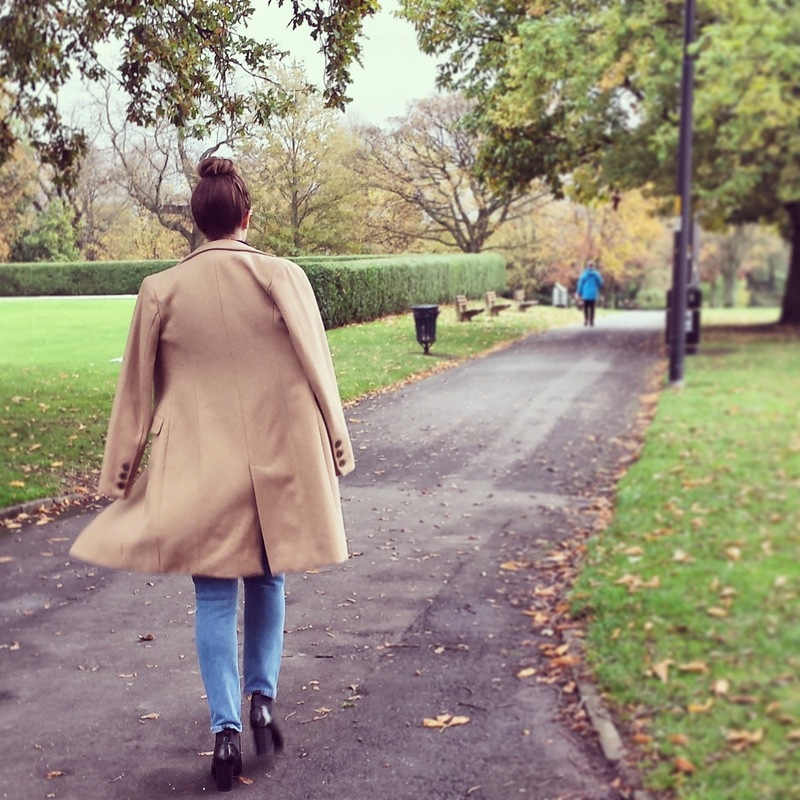 It's definitely more Autumnal up here in Manchester, which obviously means wrapping up in all sorts of fabulous coats, capes and blankets! Personally, I LOVE them. 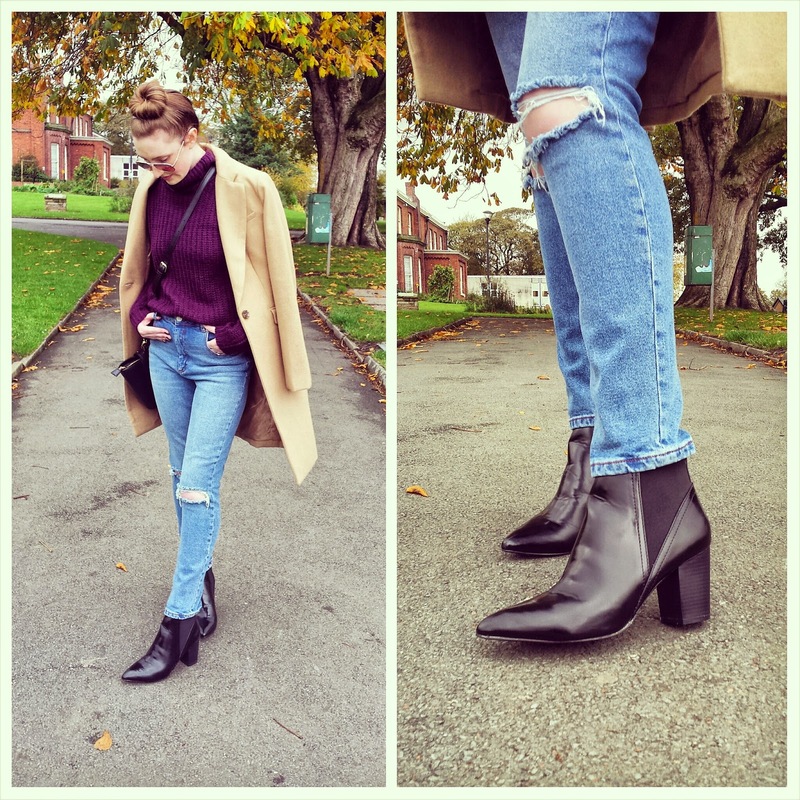 They are so comfortable and definitely look more on trend that a basic pair of skinnies! I totally understand the unflattering kind of angle, but that's a trend I'm loving right now...the kind of awkward, extra comfortable look. Ok so now on to the most popular pair of boots I have ever owned! 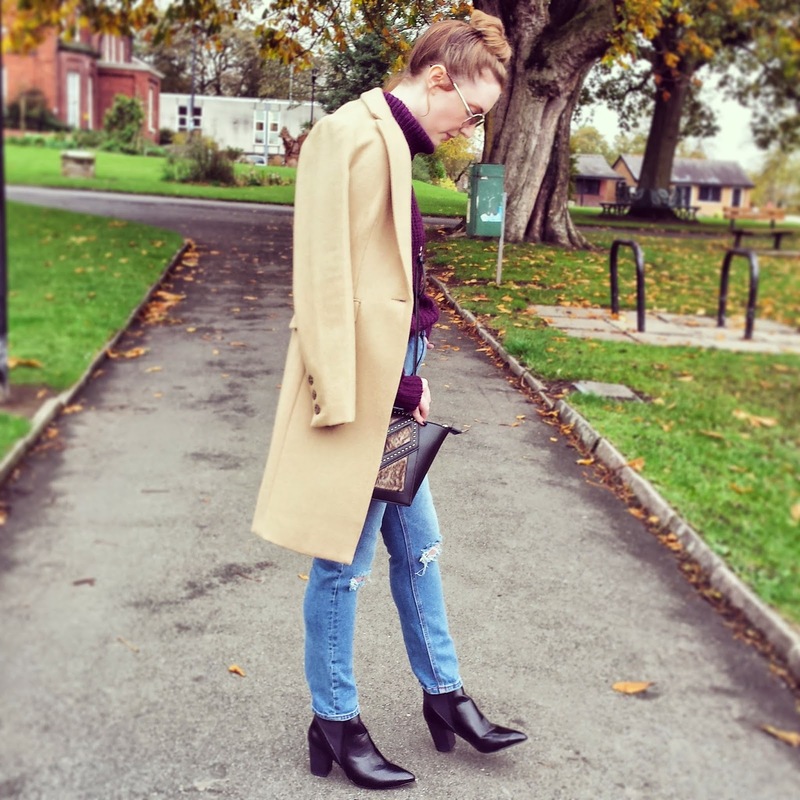 I bought these beauties from Dorothy Perkins last month, and from the first picture I put on instagram, I've had non stop requests about where I got them! They are unbelievably flattering as they have the pointed toe. This really does elongate your leg, and make you look amazing! I would never of thought of pairing them with mom jeans, but I really love the juxtaposition of totally chilled with a mix of glam! 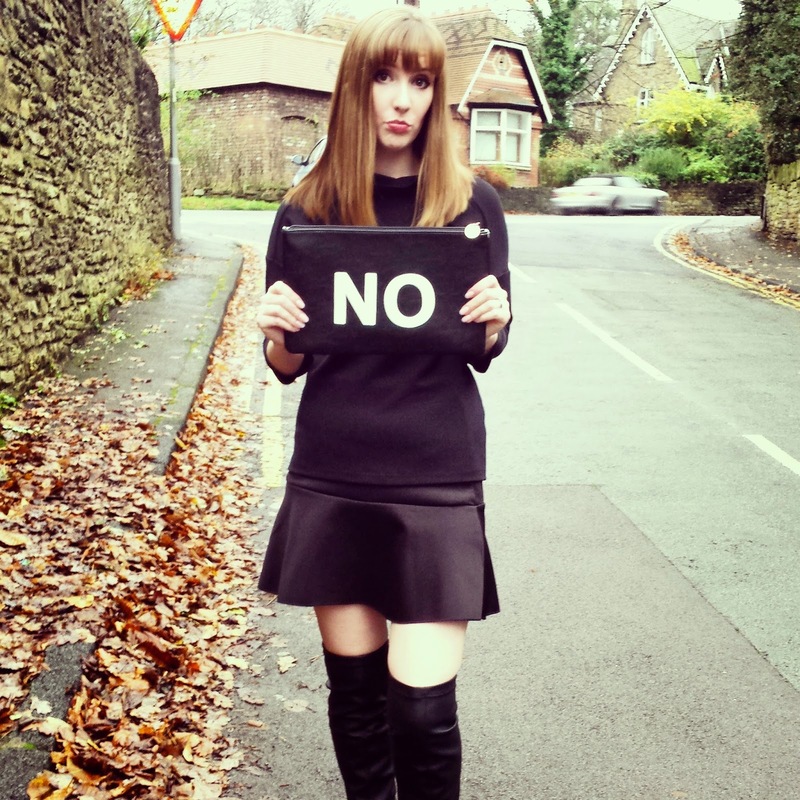 To finish off the look I threw on my new amazingly cosy jumper, again from Dorothy Perkins. 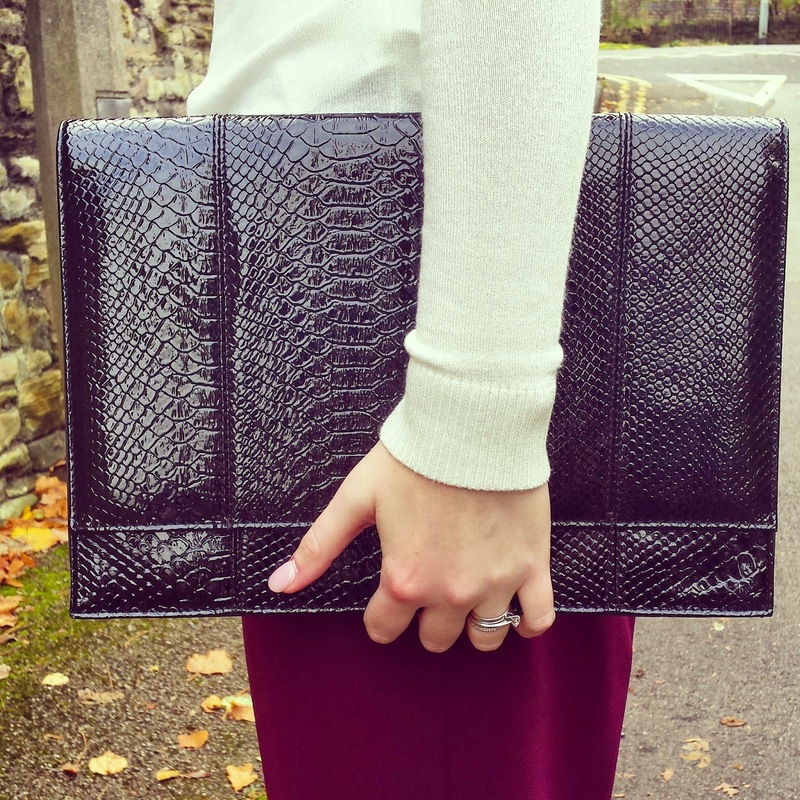 They come in a range of colours and just look great with everything! I have it in blue too, and really want it in black. I've been really busy working recently, but finally have 2 consecutive days off, so be prepared for major blog/instagram/twitter updates! Have a lovely week, see you soon! 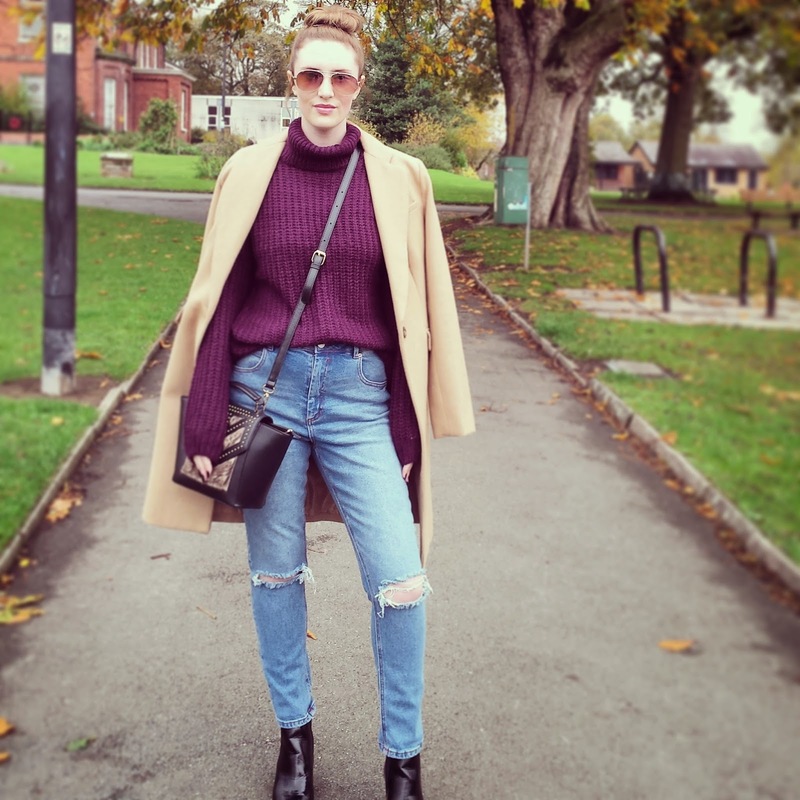 I'm back with a super quick post this week, which is actually OK as this is a super simple look! 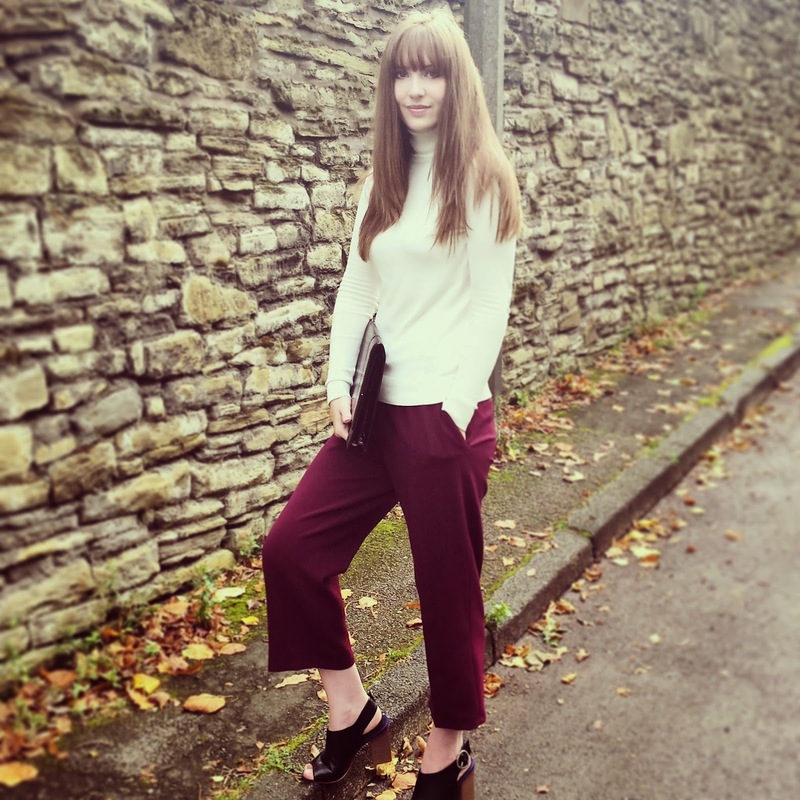 Culottes - much like Marmite, you either love them or hate them! I must admit, it took me a while to even try a pair on. But once I did, I was hooked! Ok, so there are loads variations out there, but as usual asos has a great selection for you to give a try. 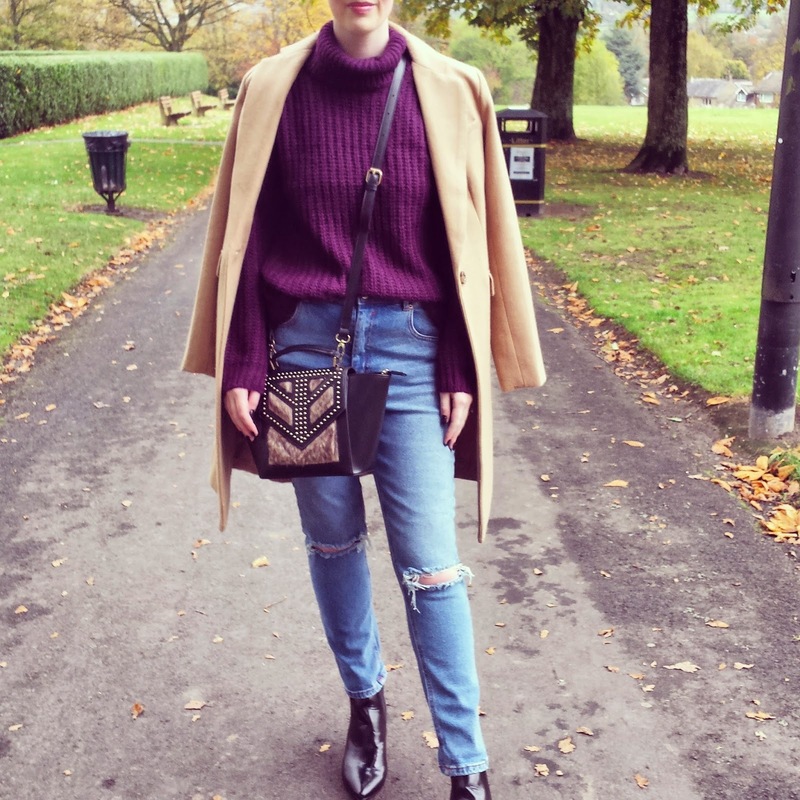 Maroon is a fave colour of mine, plus it's super Autumnal and looks lovely with all the fallen leaves (and up here in Manchester, they grey skies!). I could have easily teamed this maroon pair with black, or other deep, earthy colours e.g dark green, burnt orange and navy. So they are super versatile! 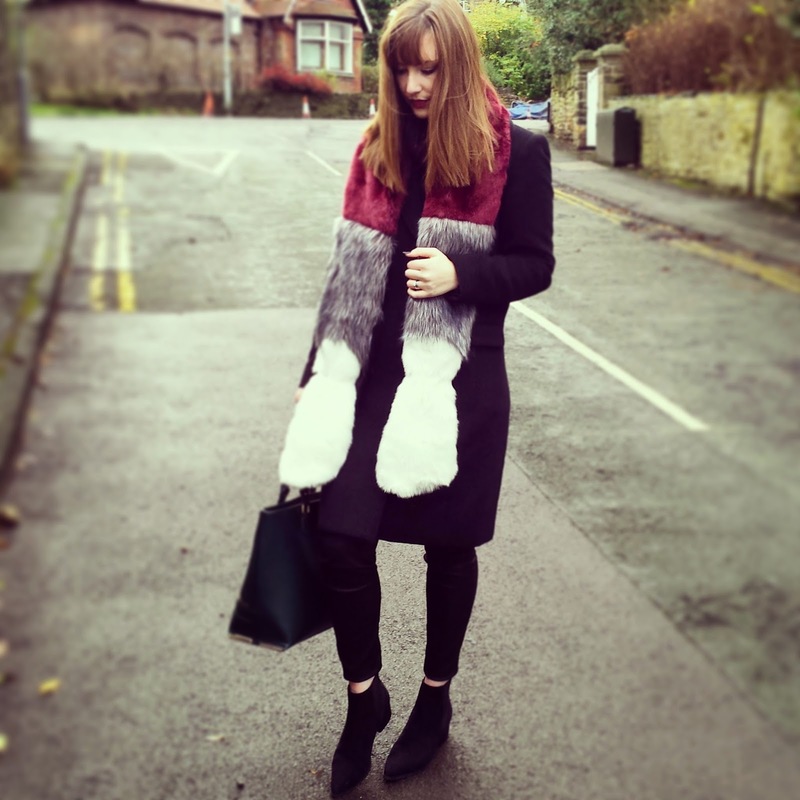 You may spot the Paul and Bear polo neck I wore on last weeks post. Total staple! 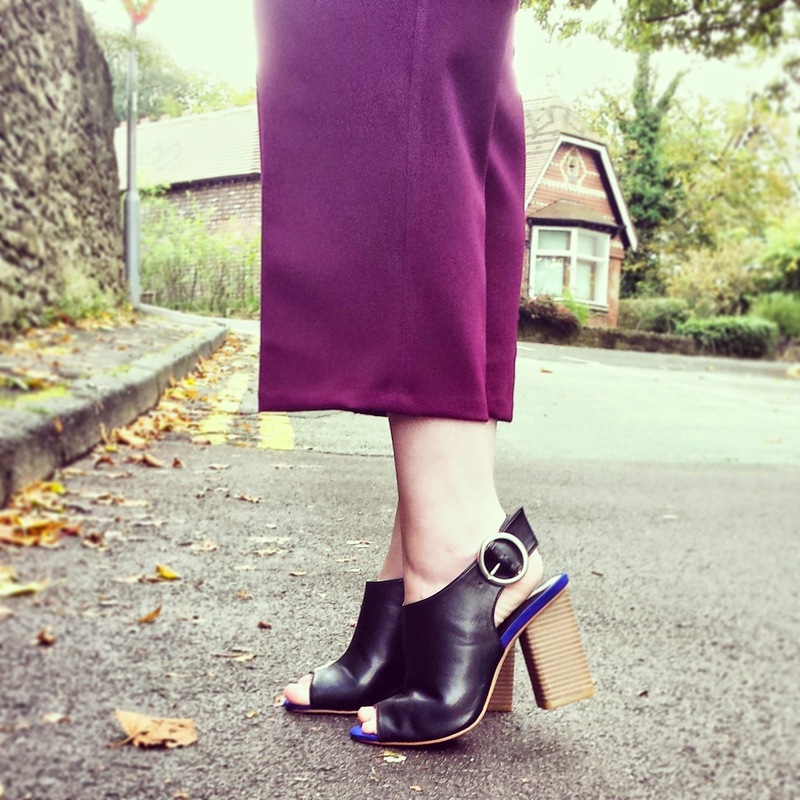 And, they star yet again...my M&S mules! Such a 'go to' shoe this whole year! As they are black, they go so well from SS to AW.